Madam Hu led the National Computing and Networking Facility of China (NCFC) project team that brought the Internet to mainland China. In 1994, as Vice President of the Chinese Academy of Sciences, she visited the National Science Foundation for talks that led to a consensus to set up the first direct TCP/IP connection in China. 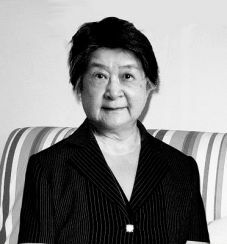 In 1997, she founded the China Internet Network Information Center and has chaired its Steering Committee for over 10 years. This committee coordinated companies, government and scholars to support China Network Information Center (CNNIC) which manages the operation and development of Internet resources in China. She is President of the Internet Society of China (ISC), a 400-plus-member civil society which she helped found in 2001. As the leader of ISC, Madam Hu helped develop charitable activities promoting Internet access and application for school students in peripheral and disadvantaged areas of China. Madam Hu also devotes herself to global Internet activities. She was a member of ICANN’s Internationalized Domain Names Committee and a member of the Working Group on Internet Governance (WGIG). Madam Hu was educated in Moscow as an engineer, specializing in industrial process automatic control systems, and then secured a PhD in Technical Science. She has worked for Case Western Reserve University, USA, as a visiting research professor for 2 years. As one of the earliest investigators in the field of pattern identification and artificial intelligence in China, Madam Hu is now a Research Professor of the Chinese Academy of Sciences and a member of the Chinese Academy of Engineering.